It is officially week nine of our garden project. We have had some difficulty with our squash and zucchini; they got a type of worm and neither of the plants survived. Ryan pulled them up and has been carefully watching all of our other goodies. To see the full list of what we planted at week 000 click here. There’s also an update at week 004 here. And another at week 007 here. At week 009, I am happy to report that we have pickling cucumbers. I have been using our herbs quite frequently, but I finally was able to put our dill to use this week as well. My mother-in-law has raved over the ease of refrigerator pickles. I’ve canned traditional pickles before and it can be a time and labor intensive process. These that I made took all of about ten minutes and everything I needed was already on hand in my fridge and pantry. I followed Smitten Kitchen’s easy recipe found here. 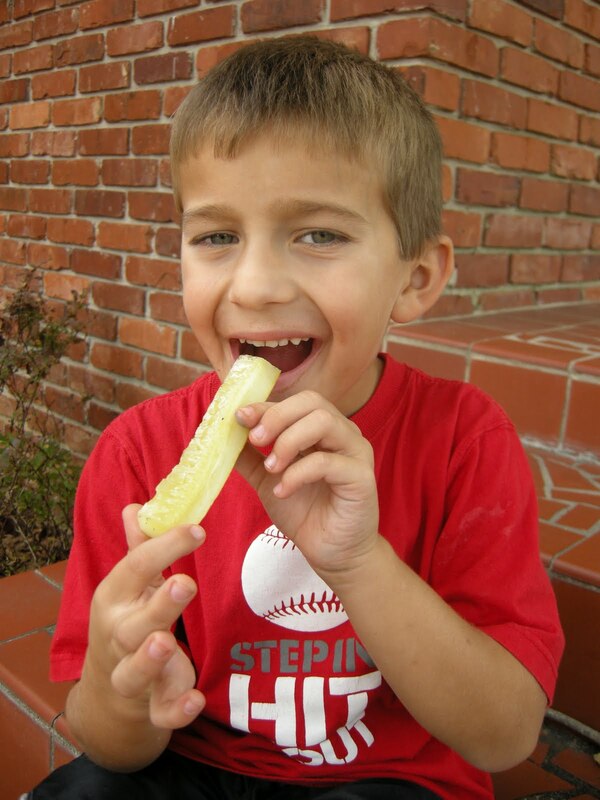 Since it’s Friday, I thought I’d do a little #flashbackfriday and show a fun picture of my little fella, Thomas way back in 2009 when he was taste-testing my canned dill pickles. Those pickles may have been sour, but I don’t know of anything sweeter! 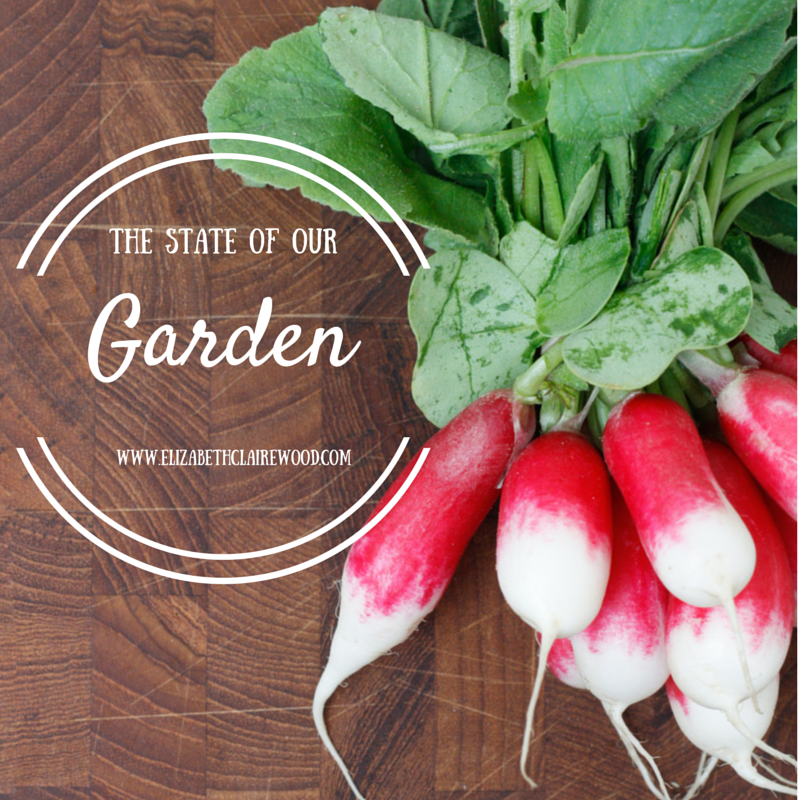 Are you growing anything in your garden this year? Cucumbers? 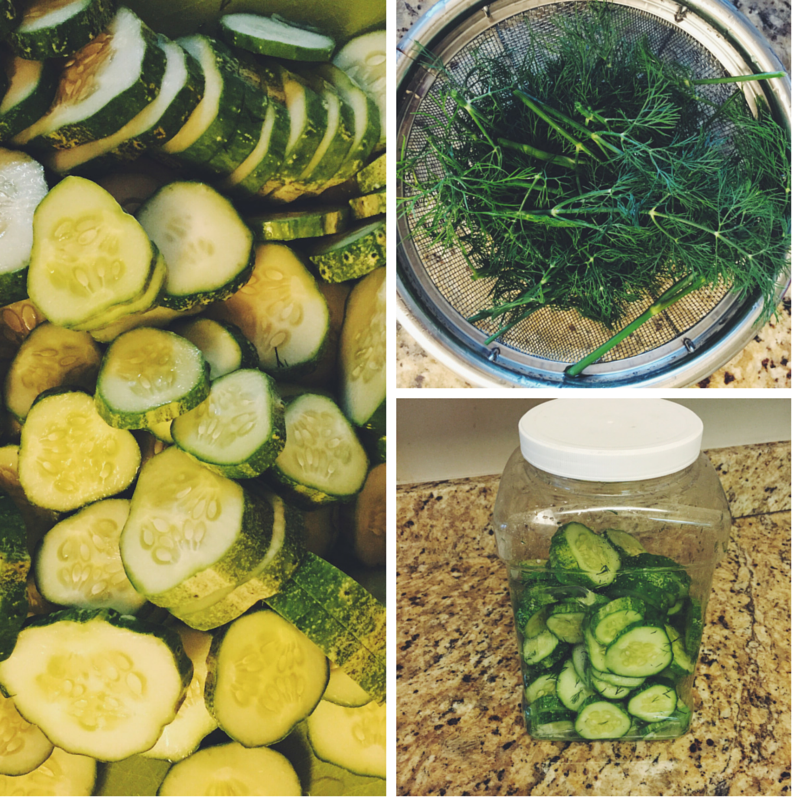 Do you have a favorite pickle recipe to share? I’d love to have your recommendations. I love homemade pickles but have never been brave enough to make them homemade (after hearing horror stories about how stinky it is). I might try this recipe though! We aren’t growing cucumbers this year, but the local farmer’s market has them. We are growing green onions, tomatoes, basil and black beauty squash. Ginger, these pickles have no overbearing smell. You should totally try them. They taste like the yummy Clausen pickles that are in the refrigerator section of the grocery store. I ❤ the Farmer's Market and am so happy to be back in the South where there are markets, farm stands, and road side produce everywhere!! !